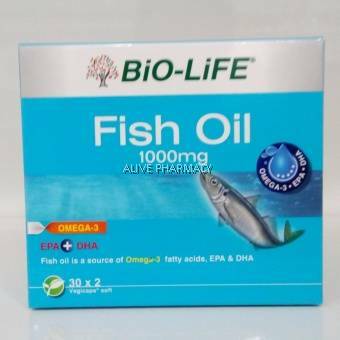 Fish Oil 1000mg is one of the best known source of omega-3polyunsaturated fatty acids. Fish Oil 1000mg is one of the sources of omega-3 polyunsaturated fatty acids, EPA and DHA. Omega-3 polyunsaturated fatty acids play an important role in the maintenance of normal functions of a healthy body. What is Fish Oil 1000mg? How does Fish Oil 1000mg help in supporting optimal health? Fish Oil 1000mg contains omega-3 polyunsaturated fatty acids,EPA and DHA. Omega-3 polyunsaturated fatty acids, EPA and DHA are vital structural components in cell membrane. They play an important role in the normal functioning of the immune system and overall health.